Great day in Turku on specialty show. 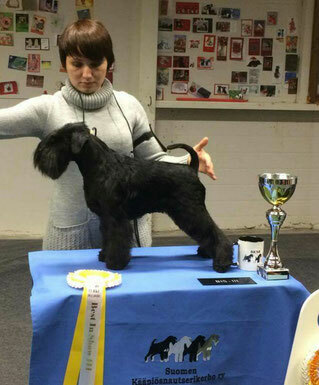 Liisi's (Raven's Tot Listen To Your Heart) results open class exc1 with cq, CAC and new Finnish Champion, BOB and also BIS-3. Thank you judge Merete Staehr-Nielsen! Thank you Mikko and team for this show!